example usage yg html dengan inline js & css ? syntak angularjs diminify juga atau dipertahankan? @mdmunir Harusnya fungsi ini cuma akan menghapus whitespaces di antara > dan < saja, jadi tidak akan terkompres kode Angular–mu. Just a heads up - your minify_css function invalidates any use of calc() by removing the whitespace around the + and - operators. Great works on this. Can we use this in our open source under (OSL 3.0) ? The original license is GPL v3 from the Mecha CMS repository. @tovic Do you have a php based HTML formatter? The opposite of the minifier for HTML? Or can I contact you about making one? @NoahjChampion Simply use the native PHP Tidy extension. Would you be so kind adding exception for removing the following comments tags since these are used by Magento2 for XHR requests markup? Bagaimana dengan 'newline' yang ada pada tag pre? apa juga akan ter 'mini'? @noasset Tidak pak. Sejak versi yang pertama, proses minifikasi hanya terjadi di antara karakter > dan < saja. Versi yang sekarang bahkan memungkinkan untuk tidak menyentuh tag HTML di dalam blok <(code|pre|script|style)>. You can replace the code which you don't need with another word like. great, just that css files generated by lesscss usually have duplicate element tags html, body etc and they are simply stripped out. The quoted material MUST exist within a tag <> (e.g., <mytag b="yes"> becomes <mytag b=yes>, but <script>var b="yes"</script> stays intact). The quoted material may not have a space character nor an equal sign (e.g., <mytag b="no no" c="no=no"> stays intact). The quoted material may not be in an href or src definition. Attribute names may include hyphens, dots, and colons, so these must be accounted for. If you are interested in doing some more robust testing, you can see some examples here, here and here (look at the $test variable). Even though it doesn’t specifically address this except in reference to arguments specifically described as strings, it appears to be true for URLs, etc., as well. @tmb-github Thanks for the input. Changing the (?<!\bcontent\:) part with (?<!\bcontent\:|\bformat\(|\blocal\() should fix the issue. @tovic Scratch what I posted earlier here, if you saw it...something else is amiss. I'll write back when I figure it out. The urls seem fine without surrounding quotes. Sigh. I think I will just comment-out that parts for now. Other problem may also occurs on the @charset rules. which raises error: Unexpected token this. @mrizwan47 This minifier does not do any code validation. No characters added by these functions to the source input. You should validate your own code. I have an issue with this minifier. I'm going to improve my SEO. This is the reason why I convert all image src with path in image base64 string. When I parse my HTML with minifier it crash and the response page is empty. Ex: " // That isn't for something " -> This break the js! Now it will accept even multiline comments. But it still doesn't accept code comments. Will try to fix this issue next time. Maybe by setting the comment string in a higher priority to be captured than the string string. I have some issues with the js minifier. if('foo' in bar) becomes if('foo'inbar). I suppose there are more but can't detect them as the parser breaks on first issue. It's good to have minify solutions in a single script or class. It would be more interesting if you could adapt your code to a "Minify" class with public methods such as minify_html(), minify_css() and minify_js(). Yes, these functions are based on the Minify class from a PHP CMS called Mecha. I tried many minifiers and all of them (including this one) fail with my scripts containing specific situations. FYI, I don’t have any plan to add ability to minify the variable name too. That‘s too overweight. Hello. Thanks for the minifier. I have found a bug. See #gistcomment-1781082. PHP does not required to be minified because PHP files are not downloaded directly like normal files. Thanks for a great script, it is a HUGE time saver for me attempting to do this from scratch. Does the script concatenate multiple files? I couldn't find any info about that on the examples above. @danielzilli No this script only works as a minifier. Concatenating requires extra function to do something like: get the content, minify, combine all of them and save the combined contents to a new file. Is it possible to include this php-html-css-js-minifier.php file in the header.php (For oscommerce stores) and get all CSS, JS, html compressed automatically on the fly? To make such functionality requires a lot of work. And sometimes by making everything automatic will also lead to uncontrollable results. Hello, your function minify_css dont work with bootstrap medias querys, can you help me to fix them? The file css show is empty. @ivobarbosa Haven’t checked yet, but will add this to my TODO list. Matches e.g. '2.0vmax' and changed it to "2.0" because "\b" matches "." and '(?:0.)?' is not required. By the way I added a replace for "0.0" (zero float without a unit). The last update introduced a bug that I have experienced in JS minification. 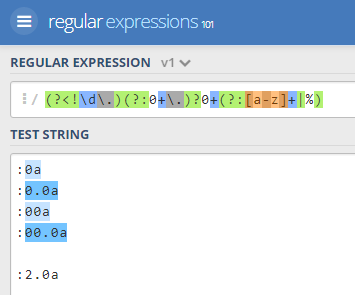 It removes this / ( forward slash ) character within js regex. But the previous js minify definition with define('MINIFY_PATTERN_JS', '\b/[^\n]+?/[gimuy]*\b'); works fine. @rinku17 @BabyDead Thanks for the report. The last update should fix the issue. My mistake, sorry. Nice script. I noticed that MINIFY_HTML removes domain name to make the paths relative - that's problematic in some instances, for example, all of your og:image tags will show relative paths, which will break when someone posts your URL to social media. Thanks for the reports! Will update this next time. This is Works Great Only one Thing I have notice that is in all the place where URL is write with external or internal link in the code that is Converted to /"
In that you have coded str_replace the " with /" and ' with /' can I known what is the purpose behind that to do. @dipesh711 There must be some errors in the $url value. Please check by dumping it like var_dump($url). What do you see? Maybe gist should be rewritten to a library with a git repo instead of just a gist? @pwFoo Yes, it IS a library, but it depends to the Mecha CMS core. If an if/else statement is used without curly brackets, an extra line feed appears.